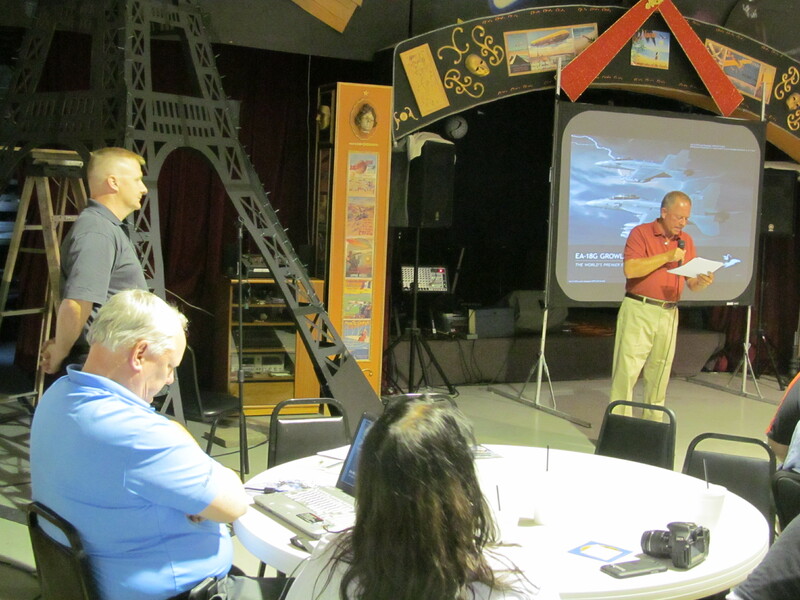 The Missouri Aviation Historical Society was recently honored to host current Navy Captain/Boeing WSO Dana “PERK” Perkins for the August 2014 meeting. Perkins currently serves as a Naval Reserve Assistant Chief of Staff and instructor at the Naval Strike and Air Warfare Center, NAS Fallon, Nevada. In addition, he’s also a Boeing Flight Operations Weapons System Officer for production test flights of all Boeing tactical aircraft in St. Louis. His unique role at Boeing has allowed him to become a Growler project lead, contributing to design the technological advances that make the Growler unbeatable today. 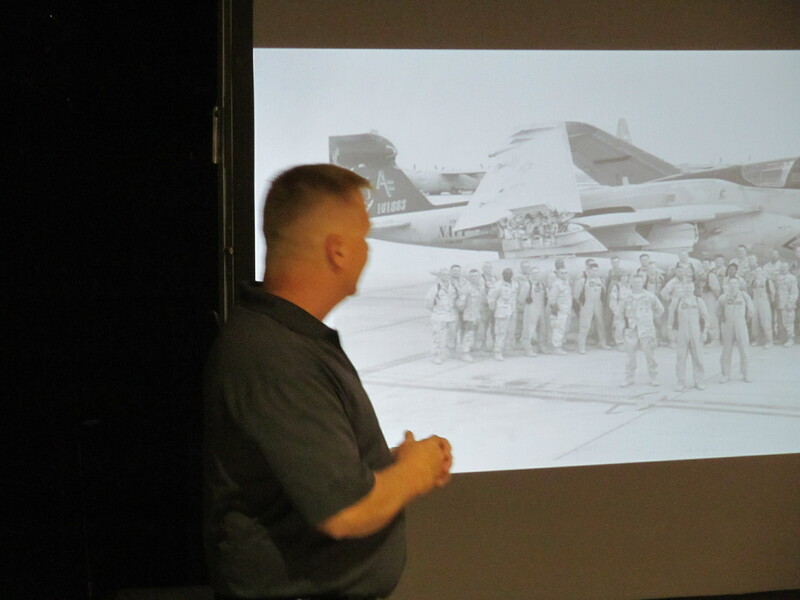 In addition, aviation author Brad Edward was in attendance to showcase and gift a copy of his book “The Boeing F/A-18E/F Super Hornet & EA-18G Growler: A Developmental and Operational History”. You can find out more about this amazing read here. Video below courtesy of our friends at the Aero Experience (click for more photos and review). Photos included here by Carmelo Turdo and Joe Gurney. This Quarter in Missouri Aviation Production!